My steed was primed, pampered and ready for a sure win. How in the world did it wind up with an apprentice jockey who is 0 for 20 at the current meet? It’s an embarrassing question to present to the trainer because it might imply that your trainer doesn’t have sufficient “clout” to get the rider you both want. Or it may suggest that the folks on the backside have determined that your horse isn’t a likely winner, so the top jockeys have shied away. Maybe and maybe not. The top jockeys are going to go with the “livest” horse in any race, no matter when that horse appears on the racing schedule, and often no matter who is training it. The potential race card for “today” was first posted as far back as two weeks ago. Forty-eight hours ago, your trainer entered your horse, after having, in all likelihood, discussed with a jockey agent, a jockey, or jockeys, who would be acceptable if the race became a “go.” But the race card has undergone a lot of changes since then (See chapter on “Entries”). An agent may have committed his jockey to a horse and since found out that a more favored horse or, yes, a trainer to whom he “owes one” needs that jockey for the same race. The ensuing trading of favors between your trainer and the jockey’s agent may leave your horse to one of the less desirable – i.e., the aforementioned 0 for 20 apprentice. By the same token you, thanks to your trainer and “past dues,” may be the one on the favorable side of a trade. Unless an owner spends an unusual amount of time on the backside, it is hard to break into comfortable, triangular dialogue that takes place between trainers, jockeys’ agents and the jockeys themselves. It’s a “family thing” – sometimes literally. Jockeys and trainers often are the sons of relatives of other jockeys and trainers; many of them, and the jockeys’ agents, have grown up in the same small world. Every day, jockeys begin to appear in the stable area as workouts begin (around dawn). Good professionals, they are concerned about gaining experience on mounts they may have in future races. They are also doing favors as they track horses for various trainers. So jockey participation in morning workouts becomes a part of the “weave” of trade-off that can occur. The Jockeys’ Agents (who earn 15% to 25% of the jockeys’ winnings) are usually the best-informed members of the racing community when it comes to what horse should be (or is likely to be) entered in what race. In fact, the agents will often point trainers toward “overlooked” races that might be ideal for a horse in that trainer’s barn… and at the same time suggest one of their jockeys for the ride. (They may even go so far as to manage the annoying details that go with entering a trainer’s horse in a given race). For some reason – perhaps because many are former trainers themselves – the jockeys’ agents often have the keenest tack on which horses in any race have the best chances of winning. They also know that trainers can “prime” their horses by placing them in a race that will hone their fitness for the race that follows; all this subliminal activity goes on well below most owners’ vision thresholds. Favors that are hard to explain, trade-offs that occur without any real discussion, agreements that take place without even a handshake are part of the “real politick” of the backside. You have to be there to understand it. And from time to time, it will most surely present you with a hard to understand (and harder-to-swallow) jockey switch. About 20% of the time, the jockey will alter a commitment at some point between the day the bi-weekly Condition Book comes out and the day of your race. But it is probably more common that the trainer will break the commitment with the jockey – and often at the owner’s behest. There’s no “bad faith” involved, and there need be no ill-will. It’s just business. As you can see from the chart below, the jockey can make a living riding losing mounts, but he makes his money collecting 10% on winning mounts: he literally can’t afford to be sentimental (and if he were, his agent, thinking of his own percentage, would nip that tendency fast). The jockeys riding in California are, without question, the best in the world. Even if you don’t wind up with the jockey you wanted, take heart. The jockeys riding in California are, without question, the best in the world. If you have any one of your areas’ top 10 jockeys on your horse, you’re going to get as smart and professional a ride as anyone could ask for. Even if you get a “bugboy” (an apprentice so known because of the bug-like asterisk that follows the apprentice jockey’s name in the program), it doesn’t mean you’re paying a slouch. An apprentice has to ride either three full years, or one full year after his 5th wining ride, or must have come atop 45 winners before being a full-fledged journeyman. (Until then, you will be getting the advantage of a 5-pound weight allowance in any race an apprentice rides for you). It’s worth keeping in mind that even the great jockeys will inevitably have slumps and will almost always recover from them. Though these are the best-paid individuals in the industry (indeed, some probably have more money than you do! ), their lives are hard. Jockeys can’t be licensed if they weigh more than 125 pounds. Surviving, for their entire career, on a few hundred calories a day is wracking enough. Being in acute physical danger, danger too frightening for most of us to imagine, as frequently as 10 times a day, 5 days a week for years on end exacts a heavy emotional toll. A word to the wise owner: Leave direct communication with jockeys to your trainer. As noted, there are languages, balances and nuances in the strange world of the backside that those of us who don’t “live” there will probably never master. The last-minute instruction the trainer gives as the jockey mounts for the race is usually a mere reminder of the much longer and more detailed conversation that took place early in the morning, when the jockey and trainer were chatting on the backside. In the case of jockeys (and the process of jockeying for them), spare yourself, and accept the system for what it is. If you have the time and energy, you can join the backstretch family. Knowledge of their world may not change any of the situations described above, but it will give you a far more accurate picture of how this “closed system” operates. Please be aware that, according to the CHRB, all of the above figures stand UNLESS there is a contract or a special agreement between the owner and the jockey on file with the Paymaster of Purses. In other words, all of the above figures are technically NEGOTIABLE. An interesting note: It has somehow become customary for jockeys’ agents to bill owners an additional 5% – bringing their share up to 10% – for 2nd and 3rd place winners in races with purses of $10,000 and over (which includes most races in California, since this state offers the richest purses in the nation). According to jockeys’ agents, the majority of owners unquestionably pay this fee – but in fact, the payment is in no way mandated. Such a bill requires a written contract between the owner and the jockey/jockey’s agent – on file with the Paymaster of Purses – in order to be legitimate. Otherwise, the bill need not be honored. (Supposedly, if you don’t “pay up”, the jockey’s agent is apt to punish you by not providing his jockey the next time you have a promising mount). Cautionary note: The Owner is required to deposit, or have an account, with the Paymaster of Purses the minimum jockey’s fee before the start of any race. 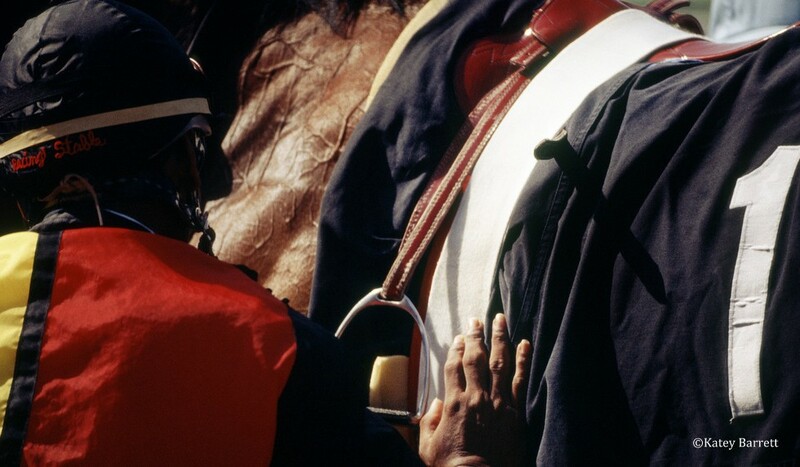 The trainer must also show, before the race, that the jockey is in fact covered by that trainer’s Worker’s Compensation Insurance.